Bert B. 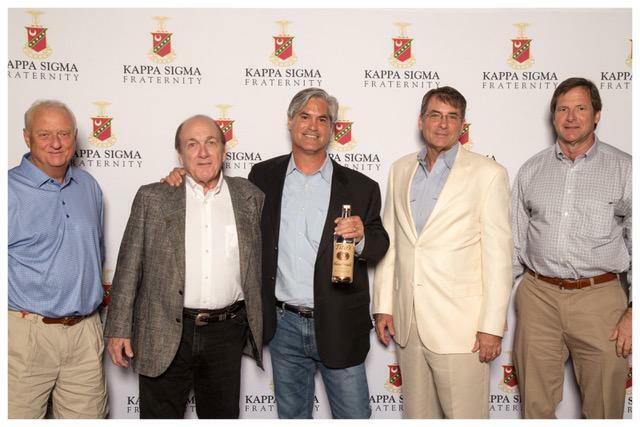 “Tito” Beveridge ’81 has been selected by the Supreme Executive Committee of Kappa Sigma Fraternity as Man of the Year for 2017. Bert B. 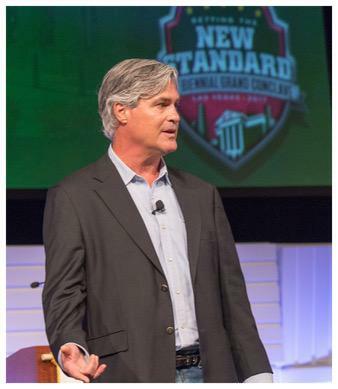 “Tito” Beveridge ’81 has been selected by the Supreme Executive Committee of Kappa Sigma Fraternity as Man of the Year for 2017. 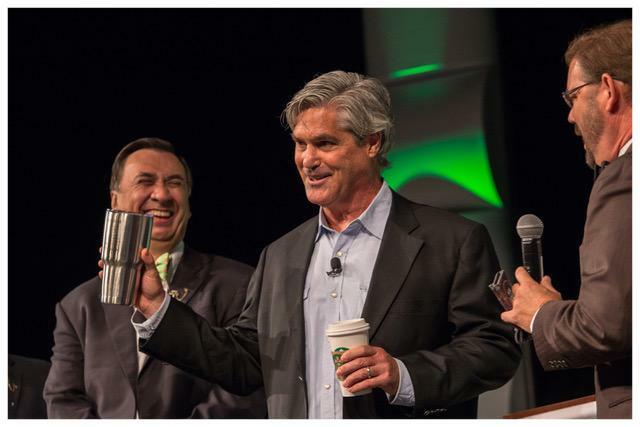 Tito, founder and master distiller of Tito’s Handmade Vodka, was recognized by the national fraternity at the Grand Conclave in Las Vegas last month, where he delivered the keynote address. The official award presentation and dinner will be held December 2 in Austin at the Tau Chapter’s new Residence Hall. More information will be coming to you soon about the celebration. 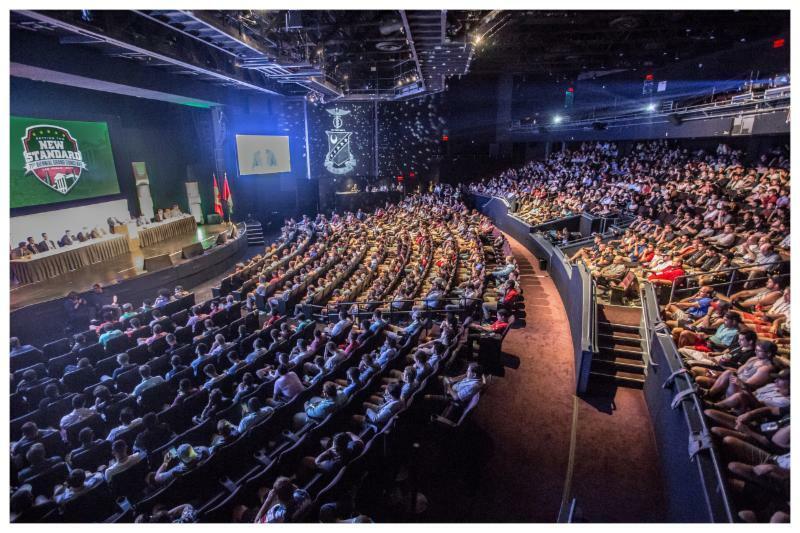 Kappa Sigma Fraternity’s 71st Biennial Grand Conclave was held July 12 - 16 in Las Vegas. 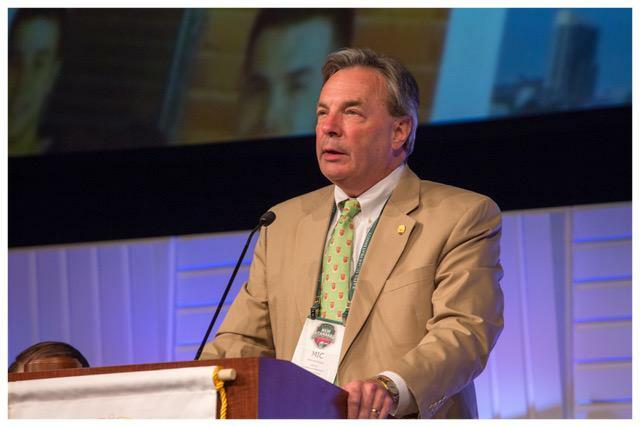 Drawing 1,327 Kappa Sigs from 320 chapters and colonies across North America, it was the largest Conclave in its history. Executive Director Mitchell “Mic” Wilson welcomes Conclave attendees. Toby Taylor, Worthy Grand Procurator, warms up the crowd. 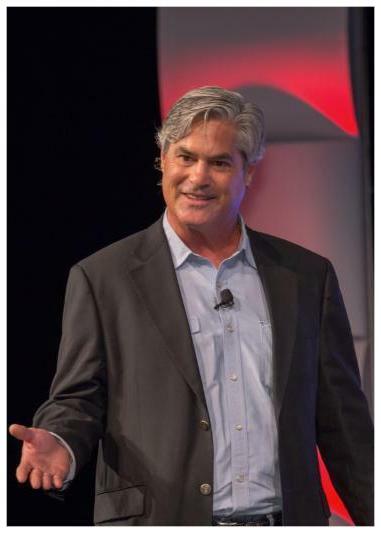 Tito delivers the keynote address to an enthusiastic audience. Worthy Grand Treasurer Ron Holsey (left) and Worthy Grand Master Derek Marchman (right) present Tito with a gift. Tau Chapter alums Jim Pritchett ’71, Hagen McMahon ’66, Tito Beveridge ’81, Michael Molak ’81, and Matt Molak ’81. 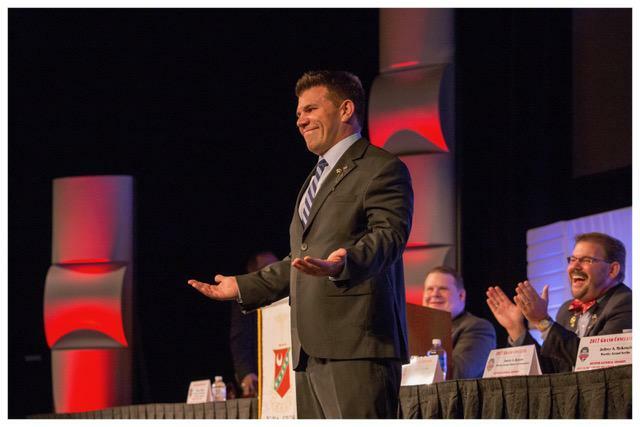 Photo credits: All Conclave photos shot by GreekYearbook. 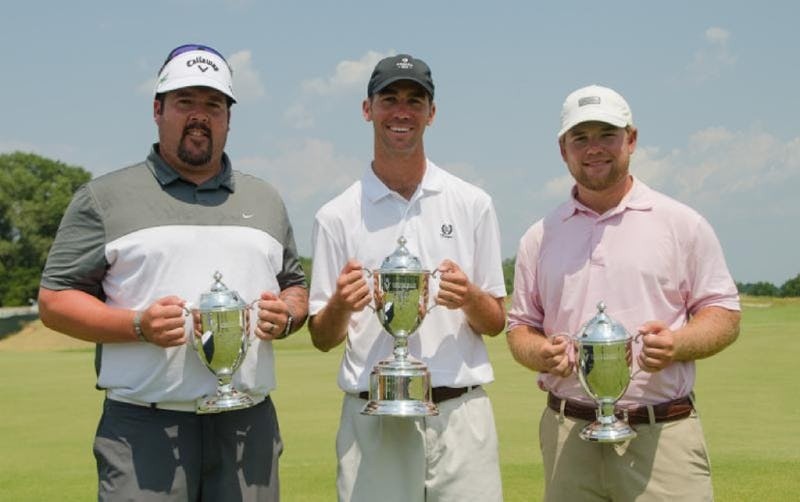 Brax McCarthy (center) of Fort Worth shot 18-under 262 and won the Veritex Bank Texas State Open at Trinity Forest Golf Club in Dallas by eight shots. Ben Kern (left), head pro at Oeste Ranch Golf Course in Weatherford, claimed Low PGA Professional honors with a 3-under 277. Texas A&M senior Andrew Paysse (right) of Temple finished fourth at 8-under 272 and was the low amateur. Brax McCarthy of Fort Worth shot a 3-under 67 in the final round of the Veritex Bank Texas State Open and rolled to an eight-shot victory in the tournament at Trinity Forest Golf Club. McCarthy, who played at Texas, finished at 18-under 262 on the course that will host the AT&T Byron Nelson in May. Defending champion Juan Fernandez of Paradise Valley, Ariz., and Zach Cabra of McKinney, fired final rounds of 66, finishing second at 270. "I feel very relieved. 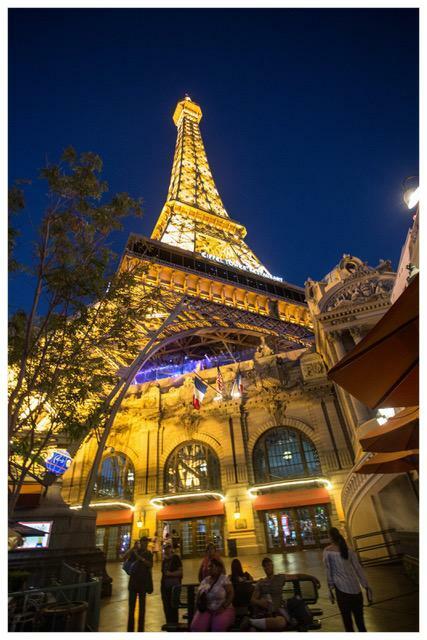 I had a hard time sleeping last night," McCarthy said. "It all clicked this week, and having [my caddie] Brandon definitely helped. It was huge. I couldn't have done it without him. It's a great list [of champions]. I consider myself fortunate to be on [it]. Ben Crenshaw, being a Longhorn, I grew up idolizing him -- the designer of [Trinity Forest], a class act through and through. To be on the list with him and Mr. [Lee] Trevino and Jackie Burke Jr. is a great feeling. It's humbling." Texas A&M senior Andrew Paysse of Temple finished fourth at 8-under 272 and was the low amateur. Ben Kern, head pro at Oeste Ranch Golf Course in Weatherford, claimed Low PGA Professional honors with a 3-under 277. Brax McCarthy ’10 is the son of Tom McCarthy ’73 and nephew of Ben McCarthy ’77 and Patrick McCarthy ’82.